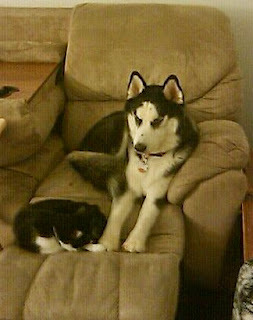 We adopted Kita, our Siberian Husky, when he was about 2 1/2 months old and not much bigger than our adult cats. I've blogged before about how Kita adores our tuxedo cat, Seph, but there is more to that relationship. Kita, now 5 times larger than the cats, idolizes Seph as a "big brother" figure and thinks that he should be allowed to do everything that a cat can do. To reach that goal, Kita has taught himself a few tricks and ridiculous habits. 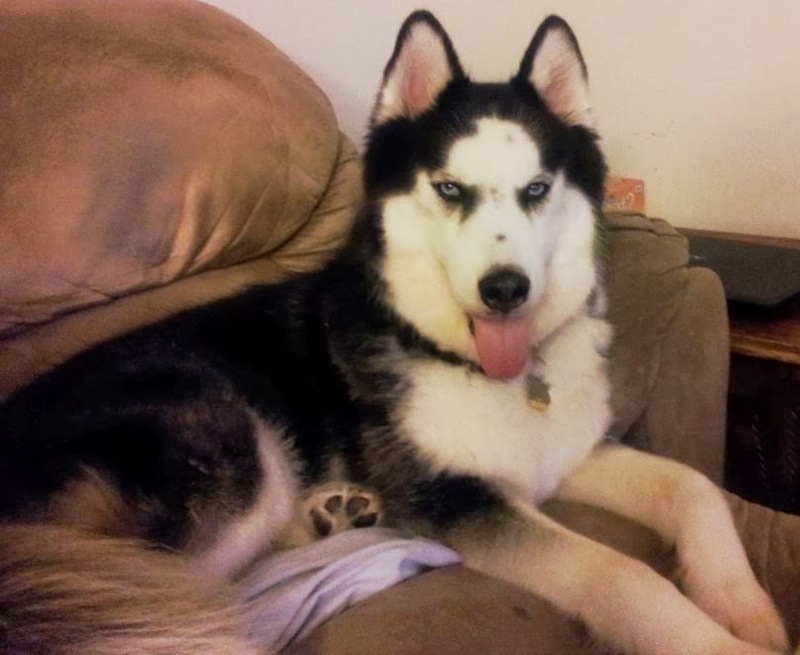 Huskies are intelligent and are also known to imitate others. Kita takes his imitation very seriously and spends a lot of time perfecting his cat-like abilities. His size limits some of these abilities but Kita isn't really one to give up easily (or ever). One part of his body that he has successfully used in ways similar to our cats are his paws. As you can see in his youtube video, Kita has learned to balance toys in the air with his front paws while laying on his back. He additionally uses his front paws to grab anything he can't reach, to catch big toys in the air, to cheat at tug-of-war by using both his mouth and paws and to kick around balls with the dexterity of a child soccer player. If the cat uses his paws for anything at all, Kita is most likely watching him and attempting to find a way that he can also accomplish that task. Kita thinks that he can climb on any of our furniture since he sees the cat do it. Obviously every part of a couch, chair or table is impossible to keep a cat off of, but a 65 lb dog attempting to climb from the couch to our living room table is not the least bit graceful nor good for our furniture. Of course, this hasn't stopped him yet and he continues his attempts to reach spots that are easily jumped onto by our cats. Seph is allowed to sleep on our bed so Kita thinks he can do the same. While Seph can fit on the edge of the bed, Kita needs to take up one entire side and put his head on one of the pillows. We've yet to let Kita stay on the bed for longer than a few minutes, and he instead sleeps in a crate in our bedroom. Kita is blocked by parts of the house with baby gates, while Seph can easily travel from room to room. Seph can fit into small boxes (click here to read a post dedicated to Seph's love of boxes) or stand on the top of our couch. Kita is still working on ways to get around these limitation; I'll let you know if he figures any of them out. 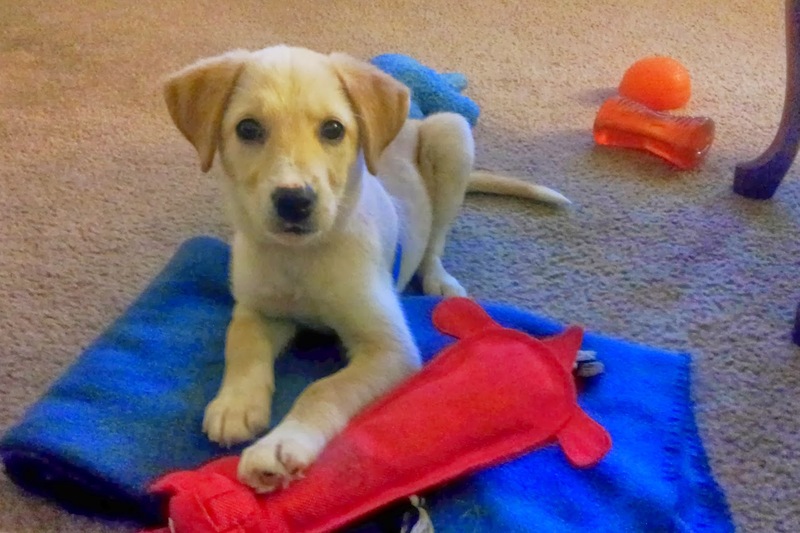 Click here to view Kita's page dedicated to dog adoption. If you have a Siberian Husky or simply love them, join the Siberian Husky community on Google+. 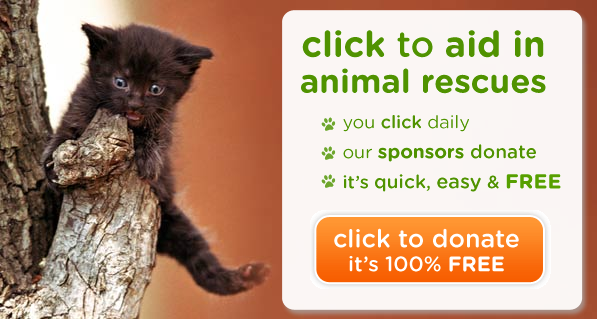 Click here to view Seph's page dedicated to cat adoption.